Instagram is testing out a feature that groups users into college community lists, according to a CNBC report. It’s a move following the beginnings of parent company Facebook, which started out as a college-exclusive social networking platform. The service is intended for students currently enrolled in university, excluding alumni. 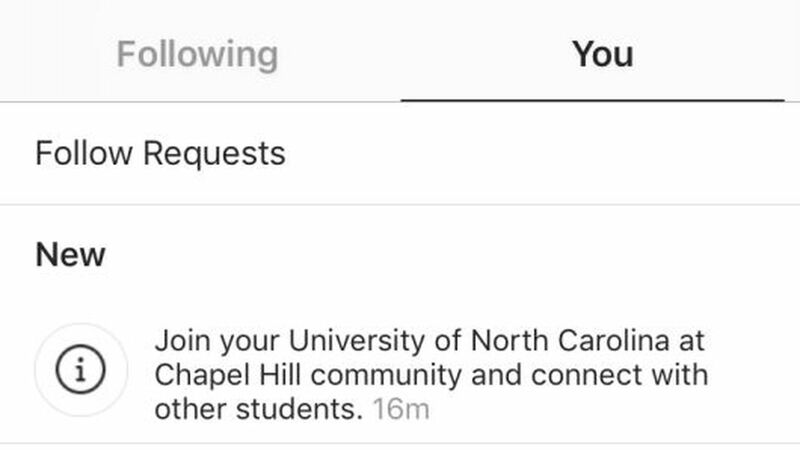 Some users have been prompted to join their college community to connect with other students, which adds the user to a class-based list. Joining the group lets the user add their university and graduating year to their profile. Users can view the group members’ public Stories and direct message them from the community lists. It’s odd that verification doesn’t rely on an .edu email address or campus geolocation, but instead through “information people have publicly shared about their university, the accounts they follow and other connections they have,” according to CNBC. And it’s definitely not without its issues, as a reporter was able to join a college community group despite having graduated. Instagram confirmed to The Verge that the feature is in the testing phase, and there are “tools to report inappropriate usage.” As more companies focus on catering to university students (including Tinder’s recent launch of its college-only service, Tinder U), it’s clear that they’ll have to take extra precautions to keep their platforms safe.